The essential revision guides that cover everything you need to know for school. Get on track for success. Our fun and colourful revision books keep you on top of everyday learning, and get you ready for classroom tests. Recap and revise all the essential content you’ve learned in school this year. Then check your skills with fun quick tests. Perfect support for National Tests and end-of-year tests – ideal for use in class or at home. 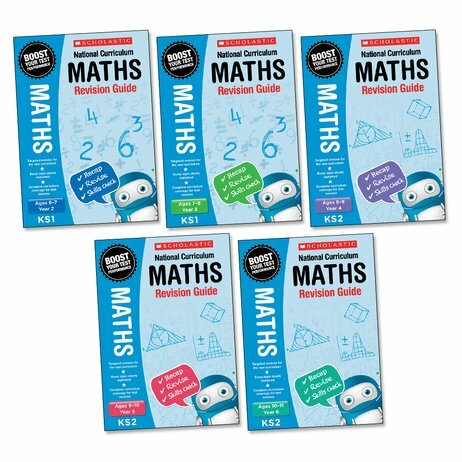 This pack contains one copy of each maths revision guide for Years 2-6.